The global prevalence of Alzheimer’s disease, an irreversible neurodegenerative condition resulting in extensive memory loss and dementia, is increasing. The disease is of great public significance as there are no therapeutic approaches that can arrest the progression of the disease. The Alzheimer’s Association reports that one in three seniors dies with Alzheimer’s disease or another form of dementia, and the group forecasts that by 2050 it will cost the United States an estimated $1.1 trillion per year to care for such patients. 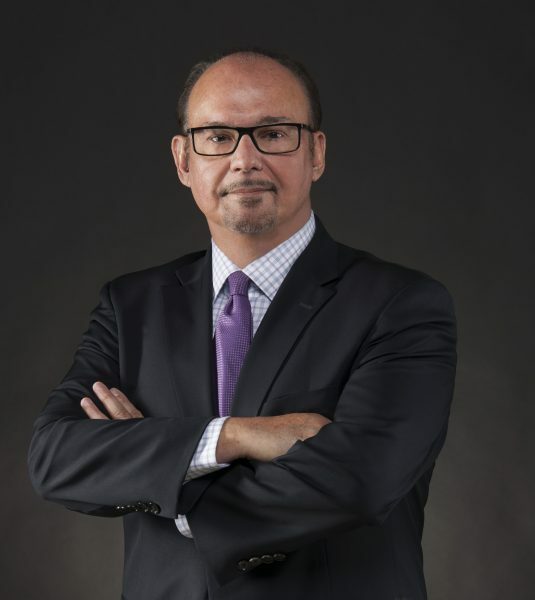 Tomás R. Guilarte, dean of the Robert Stempel College of Public Health & Social Work and professor in the department of Environmental Health Sciences and Cognitive Neuroscience and Imaging, is working to discover if environmental toxins are contributing to the alarming increase in the diagnosis of Alzheimer’s disease and other dementias. Guilarte has spent more than 20 years researching the effects of environmental lead exposure on children. Now he is studying the effects of environmental lead and manganese exposure on the brain and possible links to Alzheimer’s disease, ongoing work he will continue thanks to a new $366,250 grant from the National Institute on Aging (NIA). “Unfortunately, despite all the years of research and warnings, lead and manganese are still prevalent in our daily lives,” said Guilarte. Historically, sources of lead exposure in human populations include the legacy of lead in gasoline, paint, batteries and other common household goods. Due to the ubiquitous presence of these toxic metals in the environment, the general public–especially pregnant women and children–are at risk of chronic exposure to both lead and manganese through daily consumption of food and water or environmental pollution. These early-life exposures to toxic metals may be a risk factor for or otherwise influence the onset and progression of Alzheimer’s disease. Yet, there is currently limited research on the subject. The goal of the study is to determine the effects of chronic exposure to lead and manganese (both individually and combined) on cognitive performance, neuroinflammation and Alzheimer’s disease brain pathology in animal models.